Esegine Orezi Allen was born in Owhelogbo, Isoko, Delta State. He grew up with his family, and is the first of five children. He attended the Command Secondary School in Abakaliki. He graduated from the University of Lagos, where he completed the mandatory one year NYSCprogram. Orezi began his music career in early 2009. He has worked with several producers, including Kiddominat, Del B, and Dokta Frabz, among others. Orezi’s first musical release was “I No Fit Lie”. . Subsequently, Orezi headlined a show named after the song. The show was organized by the Continental Broadcasting Services (CBS), owners of Radio and TV Continental. In 2010, Orezi released “High B.P”. The music video for the song was endorsed by MTV Base. In late 2010, he released another single titled “Jamilaya”, featuring DJ Jam-Jam. Like its predecessors, the song received rave reviews. In early 2011, Orezi was featured on the track “Emoti”, alongside Danagog, Igho, and DJ Debby. It was played on Trace TV, MTV Base, Sound City, and One Music. Orezi bursts onto the Nigerian Music scene after collaborating with DJ Jimmy Jatt. He was featured on Jatt’s song with Sauce Kid, Muna, and Igho, titled “Komije”. Orezi released the music video for his song “Booty Bounce”, which featured cameo appearancesfrom Karen Igho, Bovi, Wande Coal, Kay Switch, Sina Rambo, Vina, Danagog, Skuki, and General Pype, among others. For several weeks, the song was one of the top ten African songs on Trace Urban, Channel O, and MTV. The music video for the song received a nomination in the Reggae/Dancehall category at the 2012 Channel O Music Video Awards. Orezi performed at the 2010 Star Trek musical concert tour, held in Kaduna and Markurdi. He also graced the stage at Nigeria’s 50th Independence Anniversary celebration, organised by the Kaduna StateGovernment in 2010. 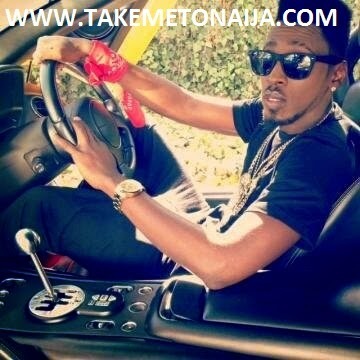 In early 2011, Orezi performed at DJ Jimmy Jatt’s “Jump Off Show”. The show was held at the Get Arena in Lekki. He has performed at several club tours, both in Nigeria and South Africa. He was part of the Emoti Tour organized by DJ Debby. He also performed at Club Inc in South Africa. In 2012, Orezi performed at the Rhythm Unplugged concert in Ibadan, and toured with Trace Urban& St. Remy. Orezi, who is currently working on his debut album, has released the music video for his “You Garrit” single. In 2013 Orezi released his first big hit single “RIHANA” the song which gave him more fame and threw him out to the Nigeria/Africa Music industry after getting signed by his current record label SPRISAL. The music video for the song was shot in South Africa. When the song was released and sent to radio stations across Nigeria, it received great acknowledgement from the public. The music video was said to have cost his record as much as 7.3million naira. He also got signed to Davido’s record label HKN in 2013. He also released more singles in 2013 like: You garrit etc. In 2014 he released a new single titled: SHOKI which fans are already screaming to. He also said he might not marry a pretty woman in the nearest feature. He also Plans Debut Album For2014 With Rihanna To Feature. Orezi was stopped from performing at Covenant University by the school authority, he was said to have been invited by the students with a huge amount of money. The singer has no endorsement yet as 2014.